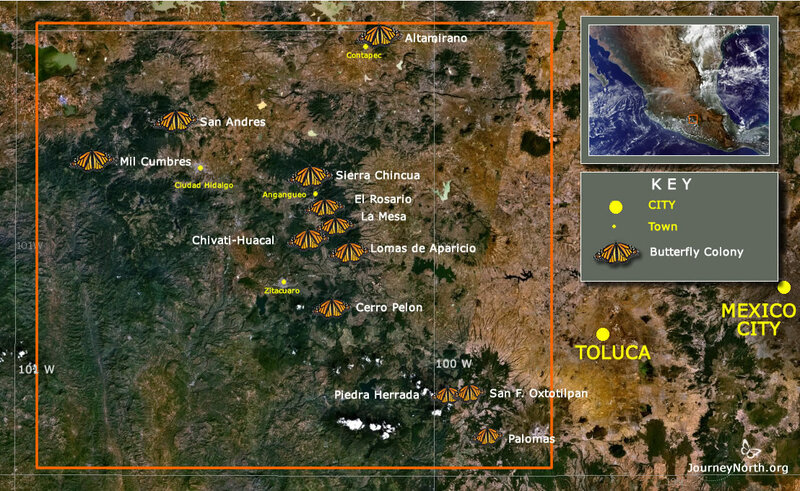 This map shows the location of the traditional monarch butterfly overwintering sites. Although there are 12 sites, at least 70% of the monarchs are typically concentrated in only 3 sites. The region is in central México, in the states of Michoacan and Mexico.